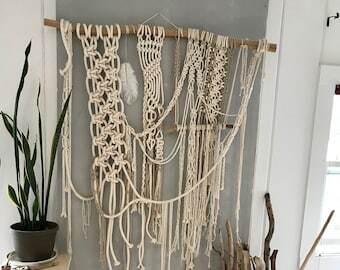 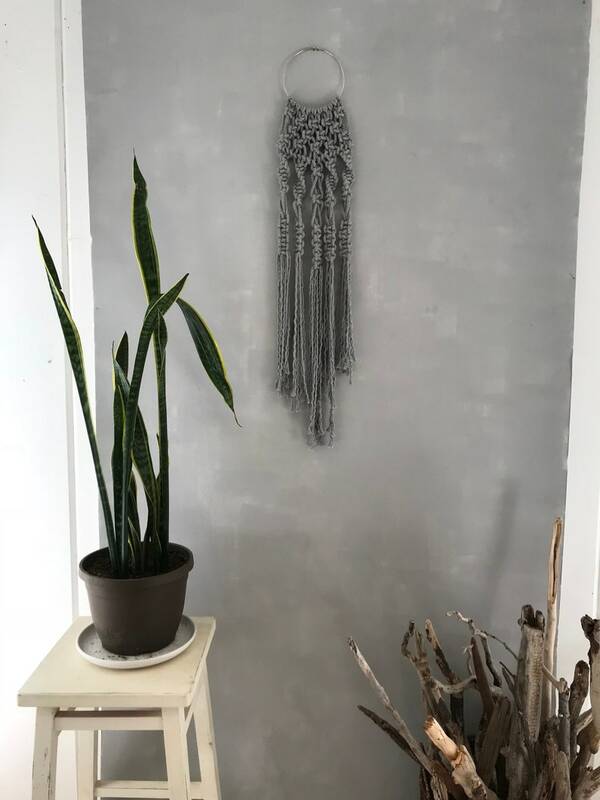 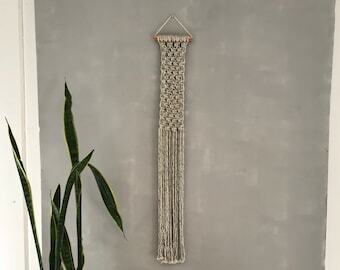 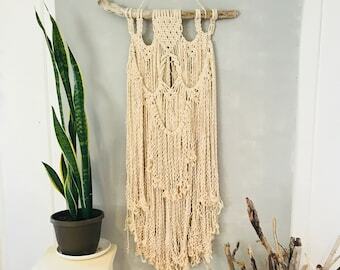 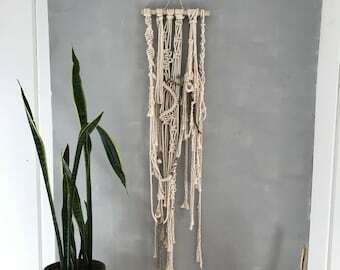 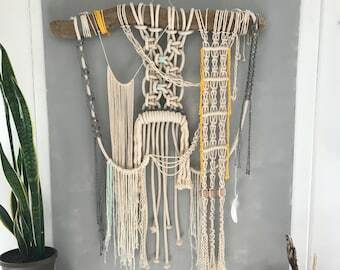 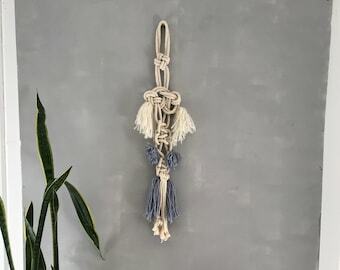 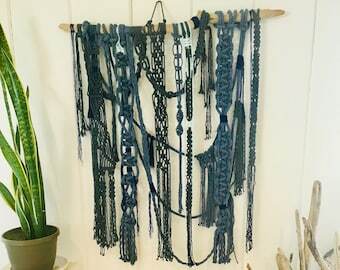 This simple yet stunning macrame piece is a lovingly made with beautiful gray rope knotted from a simple silver hoop. 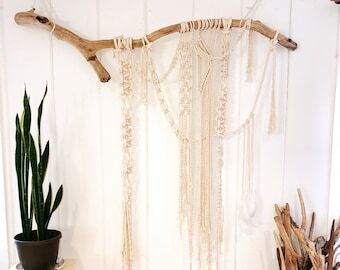 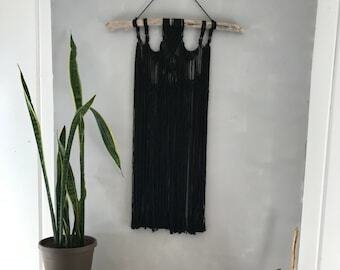 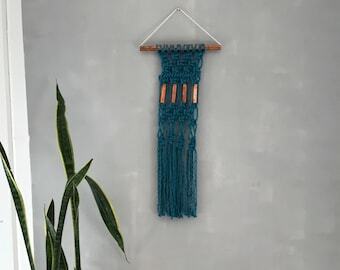 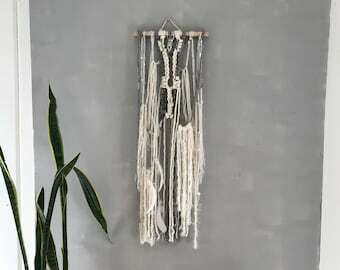 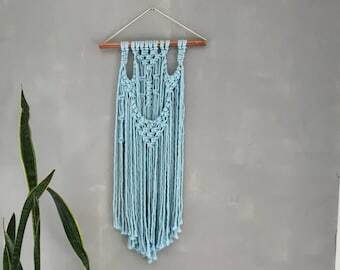 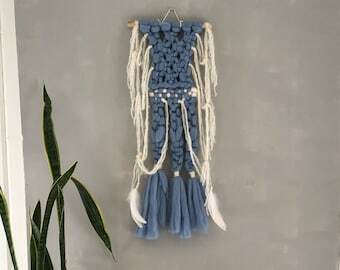 The simplicity creates a striking wall hanging. 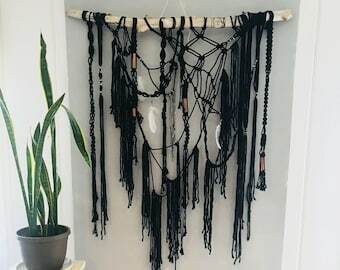 Would look great over a bed or as a statement piece on the wall.